All carbohydrates are not equal and have a great deal variability, some digest quickly and some very slowly. What the Glycemic Index (GI) does is rank carbohydrates on a scale of 1 to 100. . Carbohydrates with a low GI value (55 or less) are more slowly digested, absorbed and cause a lower and slower rise in blood glucose and offer more satiety. Permanent weight-loss requires consuming less calories forever. So combining slow digesting fat and protein food with low glycemic indexed carbohydrates can be most helpful in preventing “diet hunger” and tolerating reduced calorie weigh-loss or maintenance diets, as well as offering satiety and sound nutrition. Many/most nutrition professionals working with bariatric populations recognize the importance of the glycemic index and emphasize it in patient education. Effect of the glycemic index of the diet on weight loss, modulation of satiety, inflammation, and other metabolic risk factors: a randomized controlled trial. 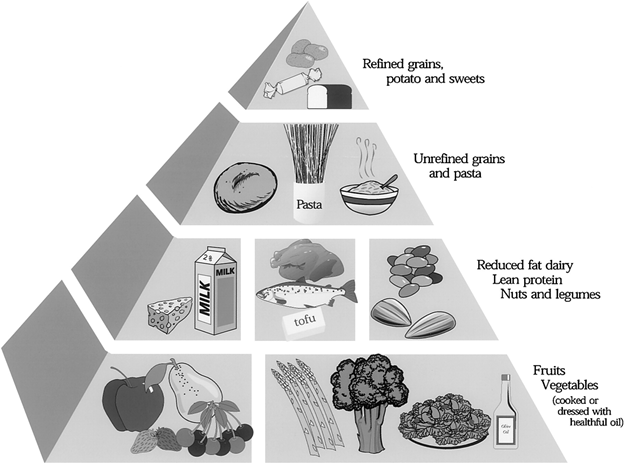 This entry was posted in Best Practices and tagged featured, Glycemic Index, slider2 by admin. Bookmark the permalink.